Static fire test of Falcon 9 complete targeting August 7 launch of Merah Putih from Pad 40 in Florida. Last edited by Dr Mordrid; 2nd August 2018 at 13:17. Last edited by Dr Mordrid; 6th August 2018 at 15:21. 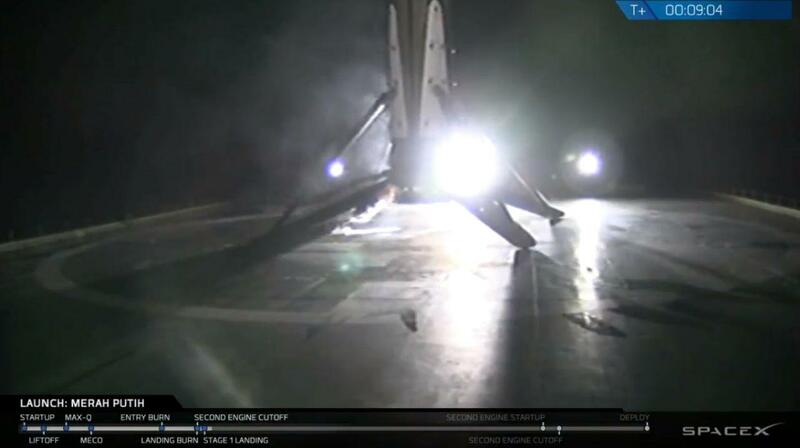 Another textbook launch, with another pinpoint first stage landing. Sounds like this Block 5 will fly its 3rd mission about November.